Sisyphus was both a clever ruler who made his city prosperous, and a devious tyrant who seduced his niece and killed visitors to show off his power. While his violation of the sacred hospitality tradition greatly angered the gods, it was Sisyphus’ reckless confidence that proved to be his downfall — resulting in Zeus condemning him for all eternity. 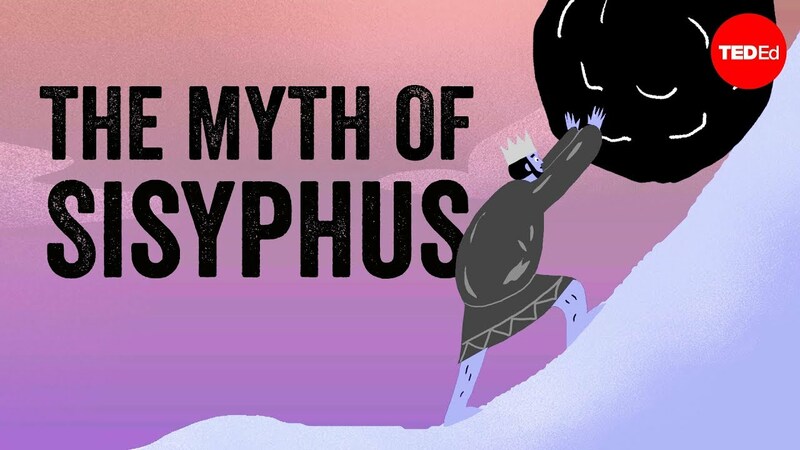 Alex Gendler shares the myth of Sisyphus. Thank you so much to our patrons for your support! Without you this video would not be possible! Denise A Pitts, Pi Guanghui, Doris, Kurt Almendras, Raymond Lee, Nicolas Silva, Melvin Williams, Tirath Singh Pandher, Terry Minion, Mauricio Basso, Jamesbo87 , Karlee Finch, Chumi Ogbonna, Barthélémy Michalon, Lefty McGoo, Prefer Anonymous, Chris Thompson, Derek Drescher, Karisa Caudill, Christina Salvatore, Brady Jones, Todd Gross, Alexis Hevia, Heidi Stolt, Robert Seik, Coenraad Keuning, Charles A Hershberger, Laura Cameron Keith, Max Ngomane, Rafael Kato, Jen O’Hogan, Renu Balak, JY Kang, Anastasiia, Madee Lo, Arpita Singh, Karl Laius, Barbarossa, Tu-Anh Nguyen, Guy Hardy, Sebastiaan Vleugels, Joel Alfonso, Derya Goekcay, Brandy Sarver, Jose Arcadio Valdes Franco, Akinola Emmanuel, igor romanenko, Dian Atamyanov, Abhishek Bansal and Austin Randall.